As most of you know, I’ve seen been cutting hair down in the Peninsula (20 minutes south of San Francisco) previously in Redwood City and now (currently) in Belmont. And for some of my San Francisco based clients, it wasn’t feasible to make the trek down to see me… which is perfectly understandable. But for those clients that have stuck with me through the transitions: I appreciate y’all! But… there’s some good news to be had! 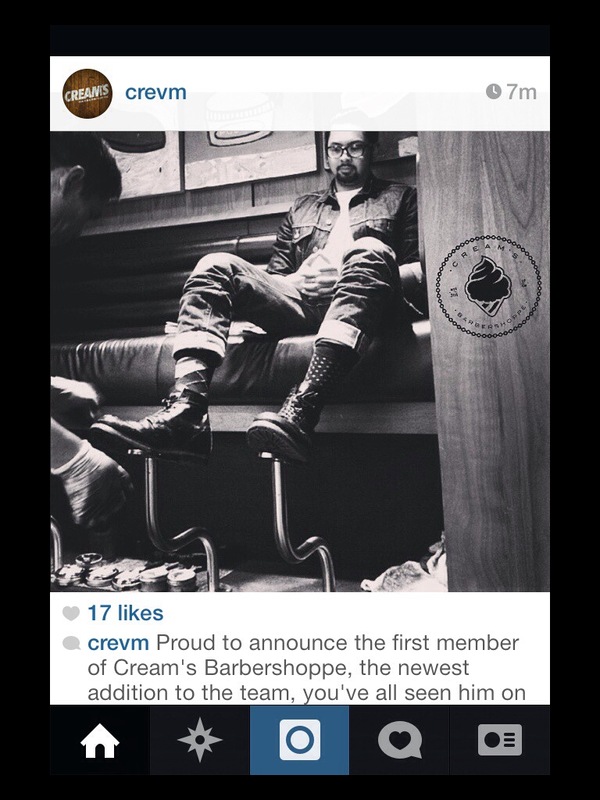 Starting October 21, I’ll be splitting my time from my Belmont location with the brand new barber shop in the Dogpatch district, Cream’s Barbershoppe, owned by none other than Chris Eliares. He was one of the barbers I worked with at the beginning stages of my career that helped me progress in this craft, so getting back into the swing of things alongside of him will only lead to more progression! I definitely can’t wait to be back up in San Francisco, cutting hair, no less! For the time being, I will only be working on Tuesdays and Wednesdays, with the potential of being opened on Mondays given the demand. Other methods of booking an appointment will be updated in a later date. Hope to see y’all soon.